The cargo ship MV Rozen is heading for harbour when it is hijacked by Somali pirates in the Indian Ocean. Amongst the men on board are the ship's cook Mikkel and the engineer Jan, who along with the rest of the seamen are taken hostage in a cynical game of life and death. 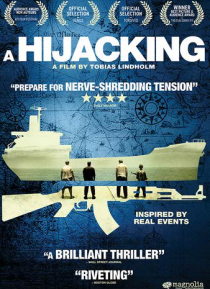 With the demand for a ransom of millions of dollars a psychological drama unfolds between the CEO of the shipping company (Sør… en Malling) and the Somali pirates.